The farm ‘Le Pietraie’ is found in the heart of Italy, in the northern Umbrian hills, on the border of Tuscany, 200km from Rome and 150km from Florence. Initially, the family farm was 12 hectares and was mainly used for the cultivation of tobacco, grains and fodder. One of the sons, Dante Sambuchi enjoyed a successful thirty year experience in Milan of study and work in the artistic arena, with consequent awards including: 1987 First Prize in the International Competition for the President of the Republic held in Florence. In the next year he received the highest civic honour from the city of Milan – l’Ambrogino d’oro – the gold medal. In 1989 he was included in the small group of 22 young, emerging artists. In 1990 he was awarded the First Prize in the Art and Culture review, sponsored by the National Institute of Arts and Culture. Dante decided in 1999 to return to the farm; he was personally interested in the re-launch of the family business, changing the focus of its products to production of extra virgin olive oil of the highest quality. With this intention, he began a close collaboration with C.N.R. 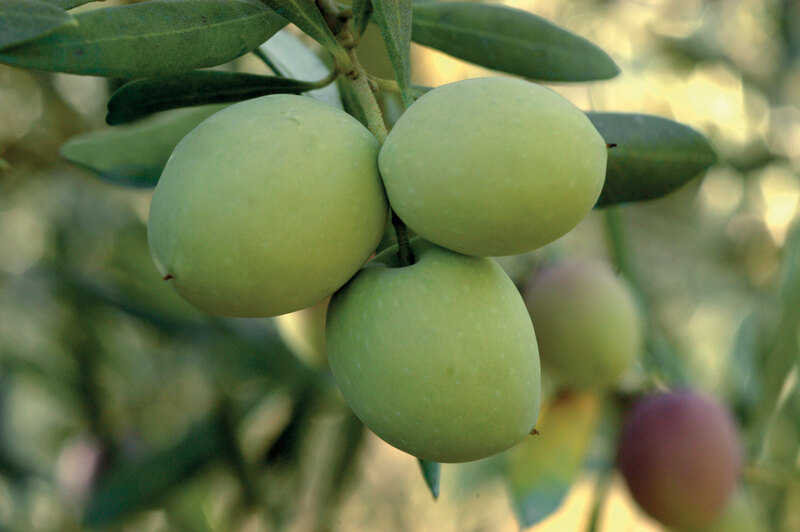 (National Council of Research in Perugia) to study, understand and improve all areas of the farming, layout and composition of the land, altitude, light exposure levels, germination process and cultivar (type of olive cultivation) in order to obtain an extra virgin olive oil of a superior category. For the production of the extra virgin olive oil, the company acquired new land with characteristics favourable for the type of cultivation required. Now with 18 hectares to be used solely for the use of growing olives. The fact that the company lies on the borderland of Tuscany and Umbria, it was decided initially to produce two types of oil, one Umbrian and one Tuscan. They would differ from each other for cultivar, soil type and light exposure. The Tuscan oil is made from the olive groves, which are situated in Val di Chio in the Castiglion Fiorentino district, near Arezzo. These 1100 centuries old plants are positioned in an area of approximately 3 hectares at an altitude of between 250-350 metres above sea level. The soil type is crumbly with a good level of clay. The varieties that create the oil labelled “Collesecco, IGP Toscano Colline di Arezzo” (Tuscan from the hills of Arezzo) with a medium fruity taste and certified by the Florentine Safeguard Consortium are: Moraiolo, Frantoio, Leccino and Ragiale. The plants are grown in pots. 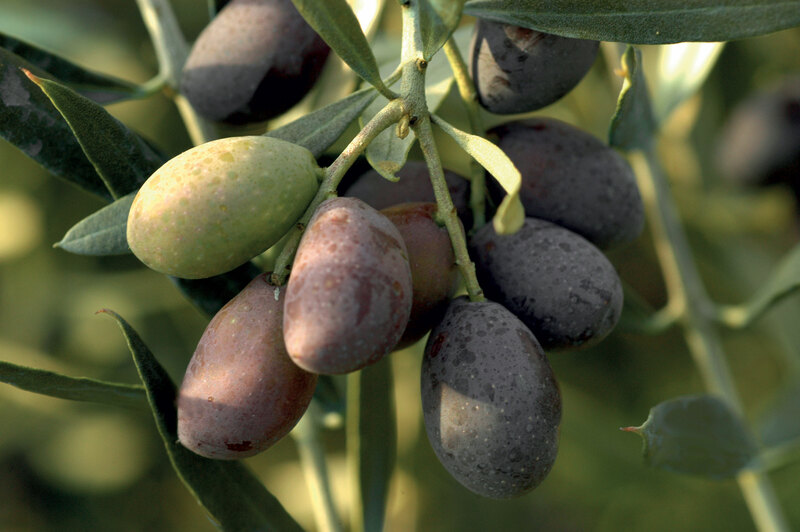 The olives are picked only and exclusively by hand, each variety separately, at the end of October/start of November during veraison (when the olive changes colour from green to black and is ripening), to keep the perfume and the freshness of the olive with a pronounced bitter and spicy finish which is a typical characteristic of the Moraiolo. The olives are then pressed that same evening in a continuous cycle, using a cold extraction method with a certified temperature less than 27°C. The oil is kept in inox clasks with azote for alimentary use, to avoid oxidation, at a constant temperature of 15°C. The remaining 15 hectares with 6000 plants are found in Umbria and are olive trees that have been planted recently in 1993-2012 in collaboration with the CNR, namely the director Professor Giuseppe Fontanazza. The olives are at an altitude of between 300-500 metres above sea level with and are facing south-west, the soil type is mixed-loose with a good level of stones. Dante Sambuchi does not forget the aesthetical approach to life. Thus among the olive trees moving presences rise suddenly; these are the sculptures that the artista farmer creates as a kind of metaphysical painting. The varieties of the new plants are composed of 50% Frantoio, 23% Moraiolo, 10% Borgiona native variety, 8% Gentile di Anghiari and 5% Dolce Agogia: typical local varieties, 4% Leccino and 1% Pendolino (the pollinator). These new trees have an irrigation system, roots and foliage, to guarantee a healthy olive, which has been grown without a minimum of water stress. The harvest, to obtain the types of oil “DOP Umbria Vignolo Colli del Trasimeno” with a intense fruity taste (from the Trasimeno hills) and the “DOP Umbria Pietraia Colli del Trasimeno” with a delicate fruity taste (also from the Trasimeno hills) is done by hand in the first days of November during the ripening period, following the same procedure as the IGP Tuscan with respect for nature. All of the extra-virgin olive oils produced have organic certification. The entire production from soil preparation, cultivar choices, planting, cultivation, harvesting and extraction of oil to the commercial aspects of the business are done by Dante Sambuchi. 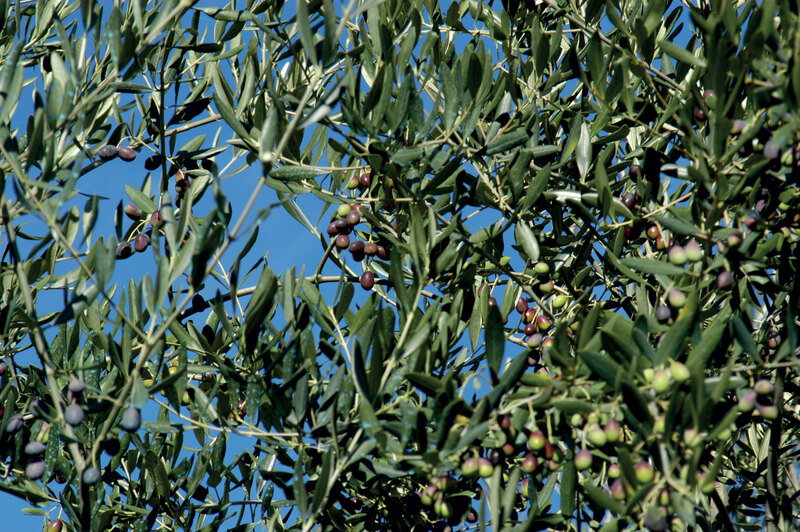 The company uses exclusively only the oil produced by their olive trees. As well as the “Collesecco IGP Colline di Arezzo” (Tuscan from the hills of Arezzo) and the “Vignolo” and “Pietraia”, both “DOP Umbria Colli del Trasimeno” (from the hills of Trasimeno), two other oils are produced. These are both pure oils from a single type of olive (monocultivar): a native Borgiona and another local Gentile di Anghiari, typical of the area with strong smells and taste of tomato leaves and grass clippings. For this reason the farm joins the “TIBORG Project”, in co-operation with “3A” Umbria Agroalimentary Technologic Park, “UOS” Bioscience and Bioresources Institute, “CNR-IRPI” Research Institute for Hydrogeological Protection, for the explotiaion of ancient Upper Tiber Valley autochthon olive varieties such as “Gentile di Anghiari” e “Borgiona”.